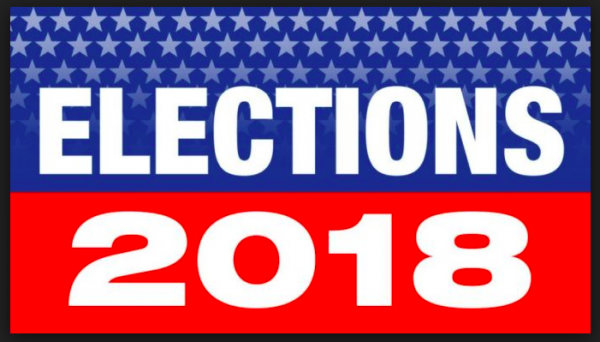 A final vote count shows that West Hollywood voters supported the winners in all but two major races in the Nov. 6, 2018, state election. Given that the city is overwhelmingly Democratic, some of those who were re-elected got a higher percentage of WeHo’s votes than votes statewide. The losers were two propositions on the state ballot. Perhaps most important to West Hollywood was Proposition 10, which would have repealed the Costa-Hawkins Act and given cities more leeway in regulating apartment rents. 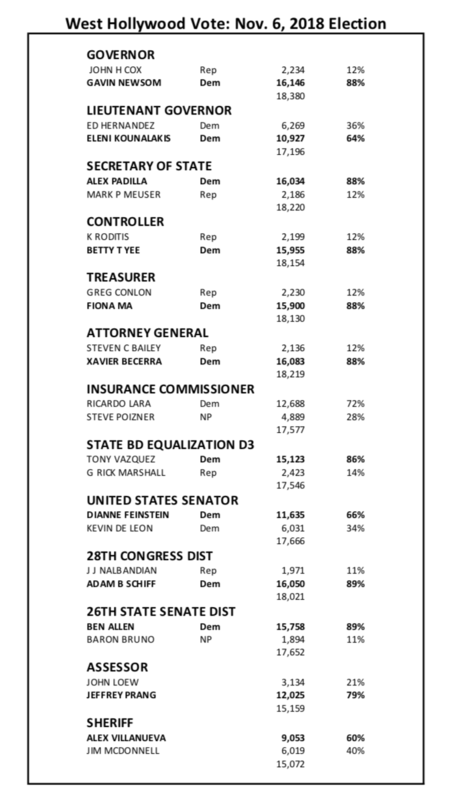 In West Hollywood, 72% of voters supported Proposition 10. However it failed when 59.5% of voters statewide voted against it. Also failing was Proposition 8, which got “no” votes from 58.18% of voters statewide. In West Hollywood 52% of voters supported that proposition, which regulates what outpatient kidney dialysis clinics can charge for dialysis treatment. Democratic candidate Gavin Newsom got 61.9% of the vote statewide and 88% in West Hollywood. Alex Padilla, the Democratic candidate for secretary of state, got 74.55% of statewide votes and 88% of West Hollywood votes. Democrat Xavier Becerra won 73.91% of statewide votes and 88% of those cast in West Hollywood in his race for attorney general. Democrat Adam Schiff got 89% of the vote from West Hollywood and 78.37% of the vote in U.S. House District 28 in his run for re-election. The single most disappointing result was the ouster of Jim McDonnell as sheriff. In his place is a man who represents much of what McDonnell was in the process of fixing which includes the overbearing influence of the deputies’ union. The new man’s principal rationale for voters is the political party reference and his surname. We’re gonna miss McDonnell! Also, if I’m reading this right, the vote for Prop 10 was 59.5% no, not 50.47% (maybe a typo?). 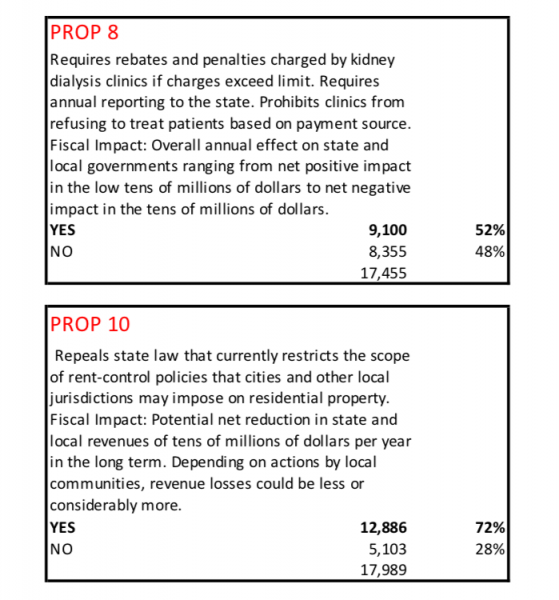 Prop 10 actually failed in the statewide vote. A majority (50.47%) of voters opposed it. Let’s just hope he does a better job with the state than he did with the City of San Francisco. I highly doubt it will matter how well Newsom does, even if he does a poor job. He’s tall, handsome and well-spoken, and is very good at double-speak. Most voters don’t pay that much attention to what is going on and cast their vote based on who makes them feel good, or whomever is the coolest person. Newsom’s failures will be blamed on everybody else. He will be presented as having been a very good governor, no matter how bad he might have been, and will be the Democrat nominee for president in 2024.